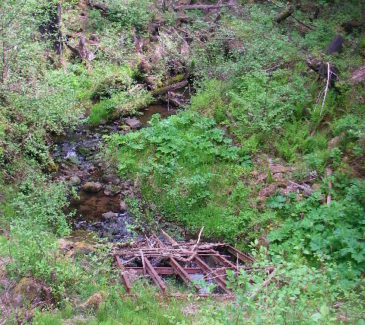 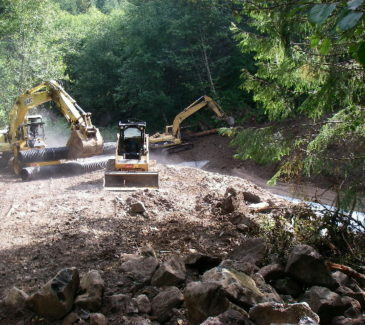 As part of the Fish & Habitat Improvement Fund program with the Washington Department of Natural Resources, AEC constructed a stream diversion system to improve fish passage in a blocked area of the Toutle River. 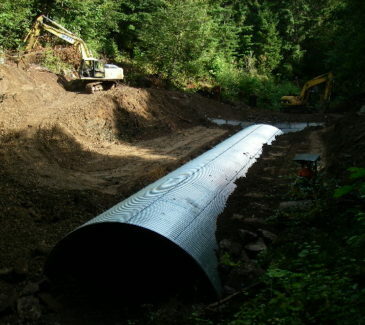 The work involved rerouting the stream through a large multi-plate arch culvert 122 feet in length and 17 feet in diameter. 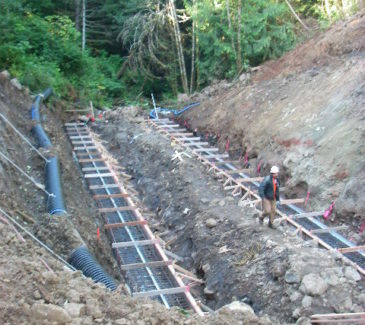 Reinforced concrete footings were installed on the existing bedrock sub surface. 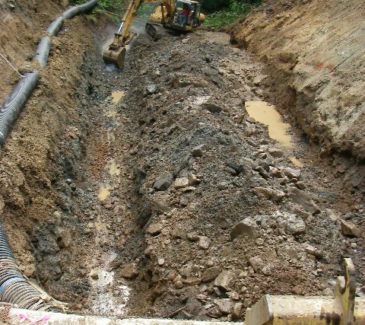 AEC employed extensive erosion control and marine and habitat protection measures, stream enhancement installation procedures, and placed approximately 850 cubic yards of bank armoring. 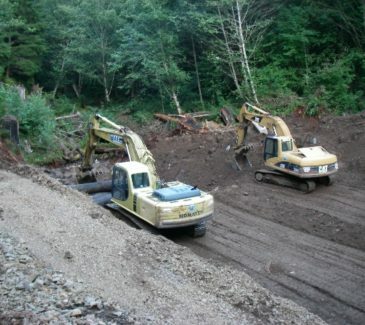 The work was completed on time and within budget by 100% of AEC personnel.